The Jeffrey M. Doucette Golf Tournament Was A Great Success! The Jeffrey M. Doucette Golf Tournament, which took place on Saturday, September 9, 2017, was a success! Golfers from around the community joined together to enjoy a great event and raise funds for Greater Waltham Arc, the Waltham High School Scholarship Fund and The American Heart Association. Jeffrey Doucette was a beloved GWArc participant for over 10 years. 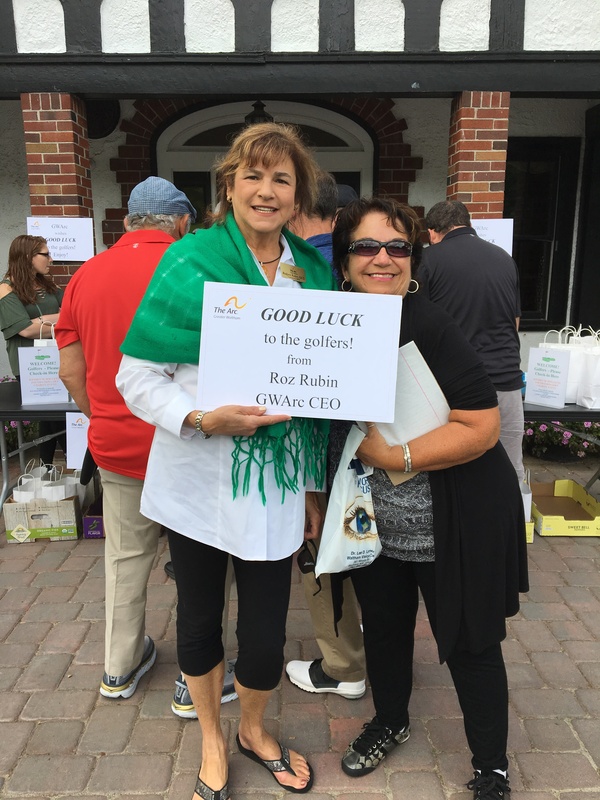 Roz Rubin, CEO of Greater Waltham Arc (above left), and Angie Doucette, event organizer, greet golfers on September 9.